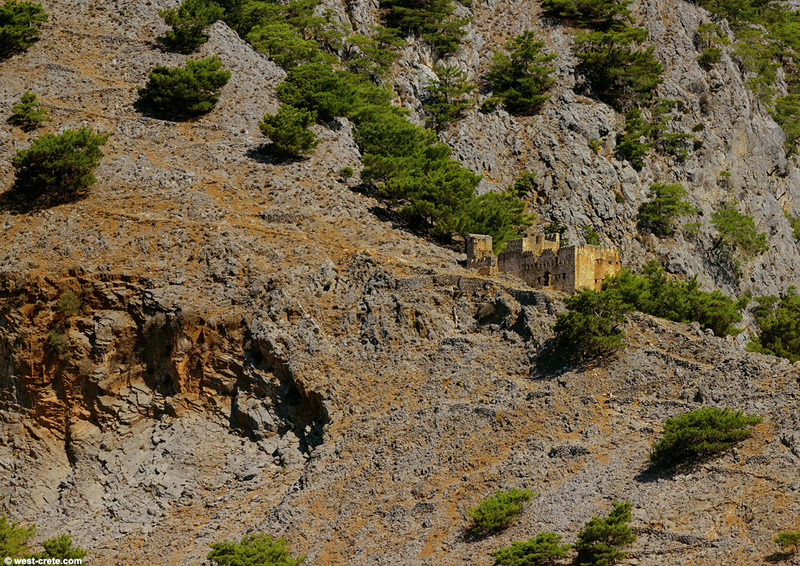 A Turkish fort located on a ridge about 200m above the village of Agia Roumeli. The path that leads to it is clearly visible in the right part of the picture. The path carries on up to a second smaller ruin at a height of around 600m.